Dr. Kumara Hirimburegama, the first Director who re-established the Institute of Human Resource Advancement of the University of Colombo, and the first Dean of the Faculty of Management, Social Sciences & Humanities of the Sir John Kotelawala Defense University of the Ministry of Defense, was appointed with immediate effect by His Excellency President of Sri Lanka as the Vice Chancellor of University of Colombo. Professor S Suseendirarajah, an Emeritus Professor in Linguistics nominated Dr. Hirimburegama for this prestigious post to the University Council for its acceptance. 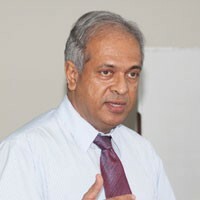 Dr. Hirimburegama who was the President of the Institute of Biology (lOB), Sri Lanka in 2006, is a Senior University Academic in the Faculty of Science from 1991 in the field of Microbiology. He is an internationally recognized scientist with research involvement in Nuclear Techniques & Biological research and Molecular Biotech research at the International Atomic Energy Agency, Vienna-Austria, Cellular Biochemistry research at the University of Leuven-Belgium, Molecular Biotechnology research at Vulcani Agro Research Institute at Bet Dagan-Israel, Banana Virology molecular research at University Minnesota-USA, Chemical & Biological Weapon Prevention in Speiz-Switzerland, and in several other countries. This knowledge and the wide experience has been used for the development of Sri Lanka. Dr. Hirimburegama is a product with a B.Sc. of the University of Peradeniya, and also the first Ph.D. awarded in Botany of the same University through a joint research program on Bio-fertilizers for rice with the International Atomic Energy Agency, Vienna. Dr. Hirimburegama has supervised to produce another Ph.D. holder at the University of Colombo through his research in soil microbiology on straw utilization as an organic soil biological quality improver for rice cultivation. Dr. Hirimburegama has carried out rice field research from Anuradhapura to Hambantota, and he was the Project Director of the feasibility study for a proposed new rail-road from Medawachchiya to Trincomalee. He is a collaborative scientist in the Banana improvement project and a main scientist in establishing the Weligatta Agrotechnology Institute of the University of Colombo at Hambantota. He has introduced the Cisco Networking Academy program of US and the Microsoft Advanced Academy of US program to the University of Colombo, in addition to several other University-Industry collaboration programs. He was the Honorary Editor of the Sri Lanka Association for Advancement of Science (SLAAS) from 1999 to 2004. Dr. Hirimburegama is contributing through modern technology to promote Tamil¬Sinhala language speech among Sri Lankans to develop the national harmony and peace along with the national policies. Dr. Hirimburegama has received his entire school education from the Richmond College, Galle. Recognizing his contribution as a scientist to education, the 36th Annual Aryabhata International Award for Education – 2010 was awarded to him in Bangalore, India.